If you have seen the films, watch other people out diving and thought you’d like to give it a go, this is the tour for you! 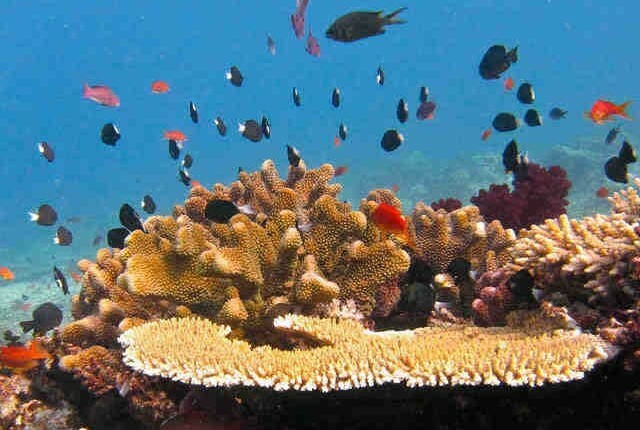 Accompanied by a PADI open water instructor every step of the way we will soon have you swimming amongst the fish and being amazed by the beauty of the coral reefs. Your instructor will give you your first lesson in a pool or shallow water and show a few basic skills that will make your dive more comfortable. 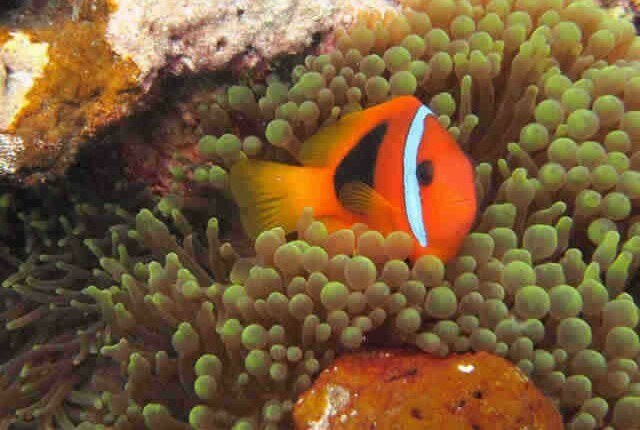 Once you have mastered the simple tasks you will be taken for a tour around the reef. We only take small groups and there is no classroom time involved! All you have to do is relax and blow bubbles. The ocean dive part of the tour departs at 1:00pm. 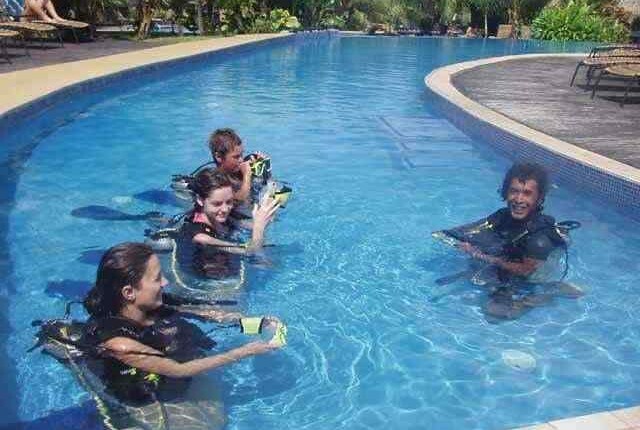 You can either do the shallow water skills part of the experience in the morning at a hotel pool or your instructor can teach you the skills in shallow water in the ocean just before your ocean dive. Once you have booked the guys from Big Blue will email you to arrange which option suits you. Note: Pickup time from Port Vila Hotels for the ocean dive is 12:45pm or meet at the Big Blue Diving Office next to Nambawan Cafe. Free pickup return transfers to some Port Vila CBD hotels, when you have booked Big Blue will contact you to arrange pick up details. All trips include all hire gear: BCD, reg, tanks, weights, wetsuit, mask and fins. Fresh fruit after the dive. 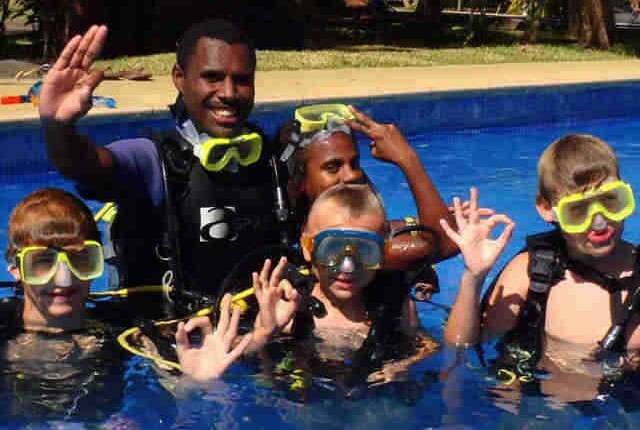 Big Blue is Vanuatu’s only PADI 5 star instructor development centre. Centrally located on the seawall in Port Vila, adjacent to the Nambawan Cafe. We are located next to the Mama Markets and Helicopter Office. CBD Hotel Pickup is at 12:45pm, in the event that you do not use the pick up service, the meeting place is at Big Blue Office.